There are currently 29,820 users on this website. 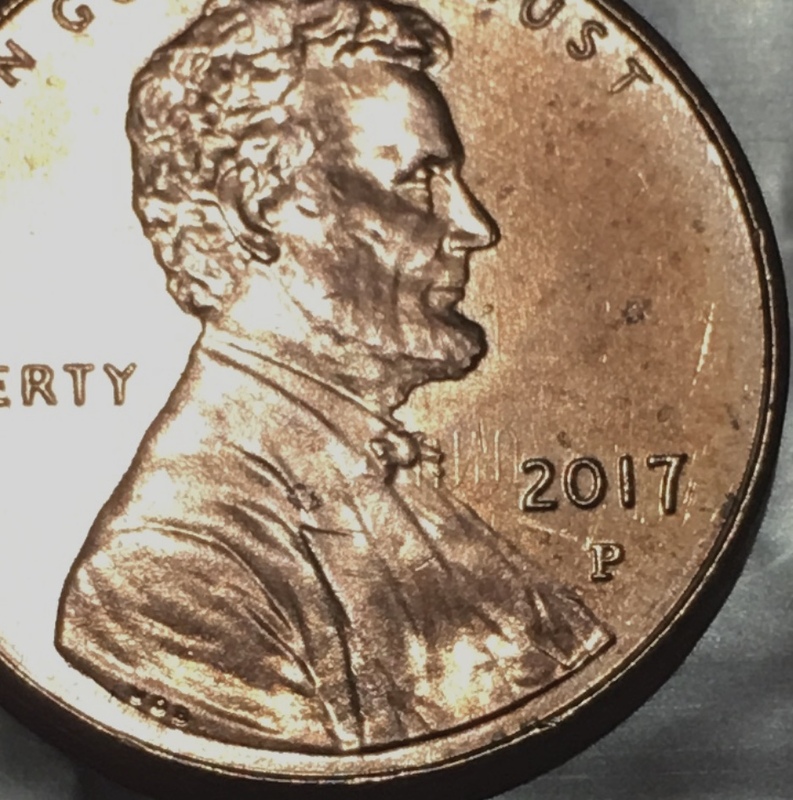 2017 Lincoln Penny. Die Clash Error ? 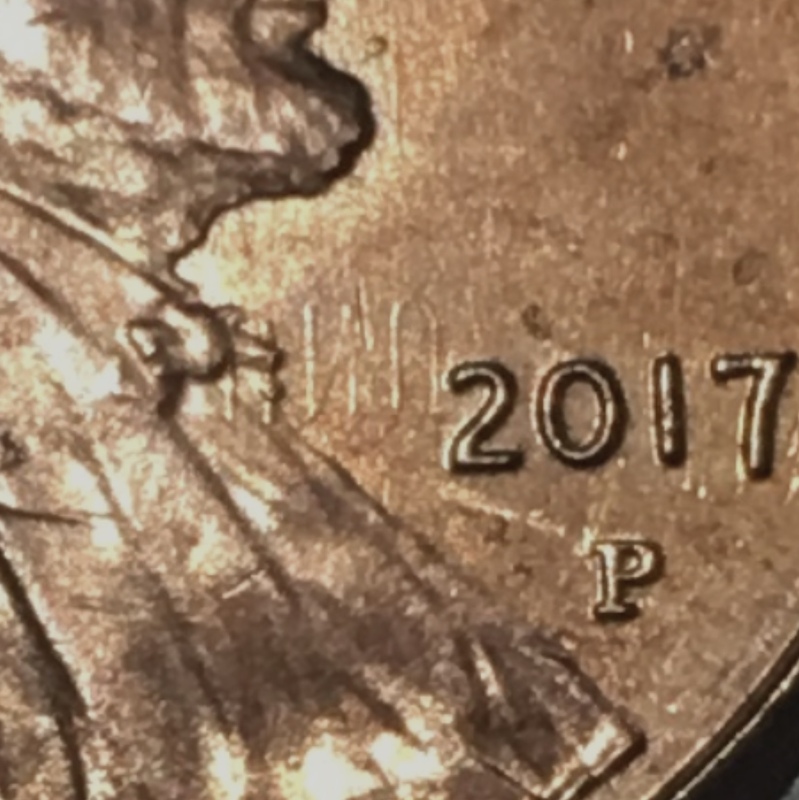 Can this be an example of a die clash error ? All info is appreciated. I'm not an expert, but I would say (from my experience) that it is one. Usually when there's a die clash the reverse side (either faintly or greatly) is flipped and is upside down. More experts are on the way to fully answer! Yes it looks to be a pretty decent die clash. A keeper in my book. Nice find! I will be on the look out for one of these. 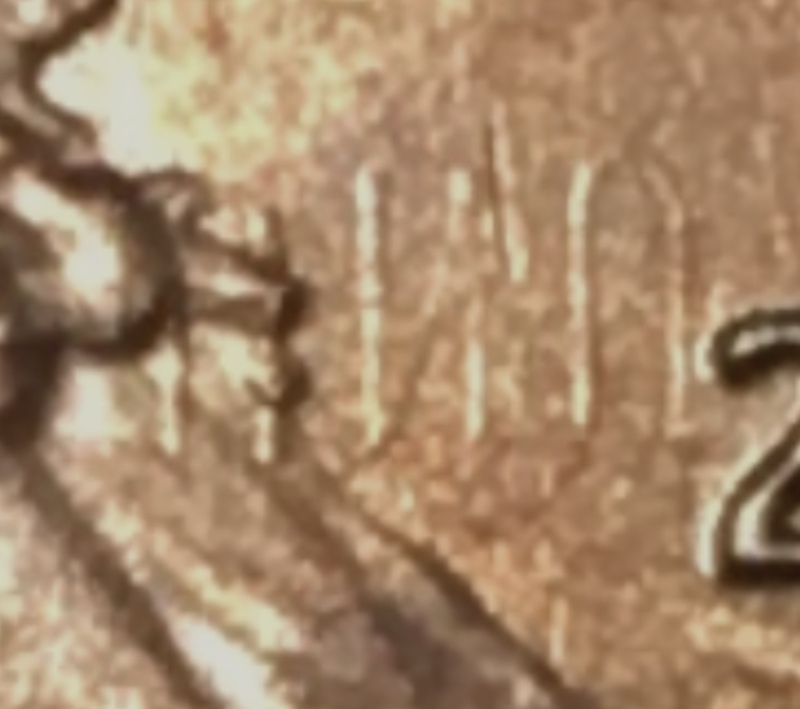 Is there any clash marks off of Lincoln's shoulder (underneath the "TY")?